Jeya ‘Ganes Kisnan, 27, took a RM20,000 personal loan to settle the legal fees for his RM720,000 condominium as he could only afford to pay the down payment, even after getting a 7 per cent discount. The young entrepreneur, who runs a software business and makes about RM10,000 a month, will be facing a monthly installment of RM3,500 for his 25-year home loan when construction is completed by the end of the year, about the same time he would have finished paying off his personal loan. “Even now, I’m feeling the heat. 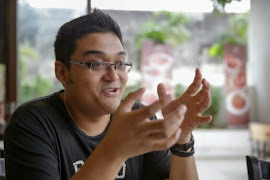 Once it’s done, how am I going to pay?” Jeya ‘Ganes told Malay Mail Online in a recent interview. 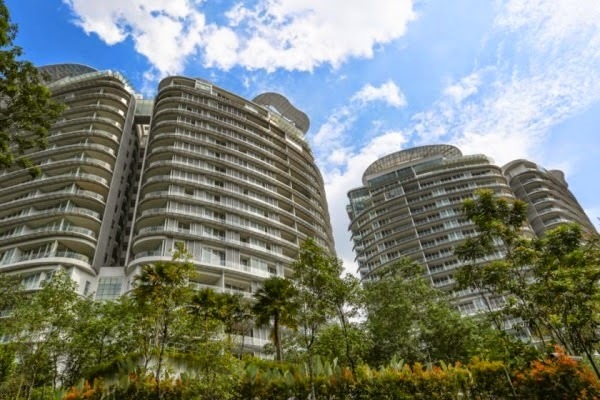 As he has lived in Ampang most of his life, Jeya ‘Ganes wanted to look for property located just 15 to 20 minutes away and said the Central Residence condominium in Sungai Besi he bought in 2013 was among the “cheapest” in the vicinity at the time. The 1,400 sq ft unit he purchased, however, is high-end as there are only eight units per floor in that block. “My property is five minutes from Ampang. My office is at the Intermark. Most of my meetings are in KL… I’m comfortable in Ampang,” said the young businessman, who currently lives with his family in Ampang. While there are no figures on how many millennials are taking up personal loans on top of housing loans for their first property purchase, real estate agents say it is common for young adults in their 20s or 30s to borrow from their parents too, while some even use credit cards to pay part of the down payment. One banker said the average interest rate of a personal loan from a bank ranges from 3 per cent to 15 per cent. “Not many people have businesses or save 10 to 30 per cent of their monthly income for a downpayment,” the banker told Malay Mail Online. The spending habits of the millennial generation, who appears to be comfortable living on credit, come as a surprise even as observers warn of a potential crisis over the country’s household debt. Malaysia’s household debt has risen to possibly unsustainable levels since the 2007 global financial crisis, with international research firm McKinsey Global Institute (MGI) showing that the country’s household debt-to-gross domestic product (GDP) ratio hit 146 per cent in the fourth quarter of 2014, up from 139 per cent during the same period in 2007. MGI’s report released last month listed Malaysia as among seven countries most vulnerable to debt, noting that Malaysia’s household liability was higher than the United States’s 99 per cent household debt-to-GDP ratio in the fourth quarter of last year. Malaysian Institute of Estate Agents (MIEA) president Siva Shanker said young adults should not buy property if they are going to be in debt over the down payment alone by borrowing from various sources simultaneously, like using credit cards, taking up personal loans and borrowing from parents. “Borrowing money seems to be not difficult any more for them. They’re not afraid of repaying even though they can’t afford it,” Siva told Malay Mail Online in a recent interview. He said the millennial generation lacks the “trade-up mentality” as young people want to own expensive cars, property and gadgets just after a few years of working, instead of starting out small based on what they can afford and gradually moving on to bigger-ticket items. “Youngsters, when they come out of college and earn RM1,500 or RM2,000, want to buy a Honda Civic that costs RM80,000 over. The monthly installments are RM700 to RM800 or RM1,000, which could be half of their salary. He refuses to buy a RM20,000 car and stretches himself way above the limit,” said Siva. “It’s the same with youngsters buying a house. They have an image of a glitzy condo. The very first property they want to buy is RM400,000 to RM600,000, but they can’t afford it. If they buy a RM500,000 property, the monthly installment is RM2,400 to RM2,600,” the real estate agent added. Siva, who is CEO-Agency of real estate company PPC International, said the property market is slowing down and that demand is shifting from new developments to sub-sale properties since Putrajaya barred in 2013 the Developers Interest Bearing Scheme (DIBS), where the developer pays the interest payments for the buyer’s loan during the construction of a property, which is seen as an incentive for speculation. “2015 will be a bit flat, but better for the secondary market. In 2016, the market will start climbing a bit. In 2017, we’ll see serious interest and 2018 can be the next property high,” said Siva. A home loan agent similarly noted the softening of the real estate market, saying that a developer had paid the legal fees for her client’s housing loan, not just for the sale & purchase agreement, six months ago. “I thought that was quite unusual,” the home loan agent, who declined to be identified, told Malay Mail Online. Siva said new properties are extremely expensive, pointing to a condominium project near Paradigm Mall in Petaling Jaya that costs RM840,000 for a 750 sq ft unit, while a sub-sale condominium unit nearby is half the price. A double-storey house in Shah Alam can cost more than RM700,000, while a sub-sale house is about 10 to 20 per cent cheaper, the real estate agent said. Siva, however, dismissed the common perception that all properties have sky-high prices, noting that there are condominiums in Cheras costing between RM200,000 and RM300,000, or RM200,000 apartments in Desa Pandan, just a few kilometres from the city centre. “Be prepared to start smaller in less than ideal accommodation and trade up,” he said. Real estate agent Joseph Wong from Quantum Real Estate said young people sometimes prefer to buy sub-sale properties as such homes are closer to their workplace or family, compared to affordable new properties on the fringe of the Klang Valley. “Personal loans are taken to cover the upfront payment as well as future renovation cost,” Wong told Malay Mail Online, referring to sub-sale properties. Skyrocketing property prices over the past few years have also prompted unmarried couples to buy real estate together in a desperate bid to get a foot on the property ladder, despite the potential risks should their relationship sour. Michelle Lee (not her real name), a 27-year-old consultant for one of the Big Four auditing firms, said she and her 26-year-old boyfriend bought a new 798 sq ft condominium unit in Puchong in 2011 for RM270,000, splitting the cost equally. Their joint monthly earnings were RM7,000 at the time. “Took the dive early before marriage because with the property market at the insane rate, it was hiked up year-on-year,” Lee told Malay Mail Online. “If you waited for anything, you still wouldn’t be able to afford it. Inflation on property was moving much faster than anyone’s salary could grow. The risk of a couple breaking up was far outweighed by the risk of not affording to purchase and own property, which is why most people don’t even buy with their girlfriends or boyfriends, and instead form investment clubs with their friends,” she added. Physiotherapist Geetha B. Anbalagan, 26, said she and her 34-year-old boyfriend — who have a joint household income of about RM6,000 — bought a RM328,000 sub-sale 800 sq ft condominium unit in Old Klang Road last year because rental often exceeded what they would be paying if they had bought a place instead. “Can go to court to prove that we both paid or contributed to the house repayment and therefore, if we wanted to sell it, then the money would be divided appropriately,” Geetha told Malay Mail Online, when asked if she was concerned about the property should she and her boyfriend break up. Financial counselling agency AKPK said in a fact sheet last January that the number of counselling cases it received increased from 4,368 cases in February 2014 to 6,581 cases in January this year. More than half, or 56 per cent, of those who enrolled in AKPK’s debt management programme by the end of last year comprised young adults from age 20 to 40. About 83 per cent of those who took part in the debt management programme have a combination of debt comprising housing loans, car loans and credit card debt, according to AKPK. Trish (not her real name) said she and her boyfriend used to go out on dates three to four times a week to places like Starbucks before they moved in together to a sub-sale condominium unit in Shah Alam last year that they had purchased jointly for RM380,000. “We’ve reduced our outings a lot since. We’re saving on unnecessary entertainment. Now, after work, both of us look forward to watching TV and cooking,” the 27-year-old woman, who works in the entertainment industry, told Malay Mail Online. Trish said her 28-year-old boyfriend took a RM50,000 personal loan to pay for the down payment and legal fees. Their household income is about RM9,000 a month. Their savings were used to pay for renovation works that cost about RM30,000. His monthly repayment for the personal loan is RM1,400 over five years, while she takes care of the RM1,700 monthly installments for the 30-year housing loan. He also pays for the utility bills and condominium’s maintenance fees that amount to about RM350 a month. Trish and her boyfriend also pay RM700 and RM500 monthly in car loans for their Suzuki Swift and second-hand Honda respectively. “It was hard to find property around RM300,000; it’s usually too far and the area security isn’t good. So, pay a bit more and get a property closer to town,” Trish said, citing Cheras as a too-distant location. Trish’s previous lifestyle of frequenting cafes that charge about RM13 for a cup of coffee is shared by Jeya ‘Ganes, who says he used to go to Starbucks every day last year before cutting down to once or twice a week nowadays. “I pay for everything using my credit card,” Jeya ‘Ganes told Malay Mail Online, adding that he tries to pay at least half of the bill every month. Image is very important to the 27-year-old businessman, who drives a RM100,000 Mitsubishi pick-up truck that costs him a RM1,200 loan repayment every month, and who has an office located in the Intermark, a high-end mixed development in the city centre. “It makes a good impression,” Jeya ‘Ganes said about his business address. He also has a gold-coloured iPhone 6 that cost him RM1,500, the latest model he bought in a succession of Apple mobile products starting with the iPhone 3GS.